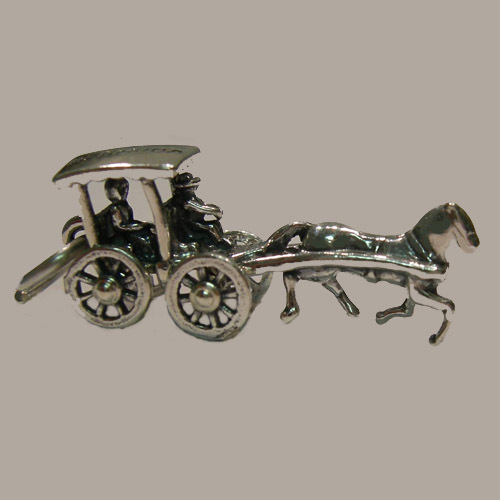 Desc: Sterling Silver three dimensional horse and carriage charm/pendant. The wheels actually rotate freely on this charm/pendant. The single carriage horse is trotting. There is a driver and passengers in the carriage. The carriage has a cover. The charm/pendant has a bright polish finish.